. Sacchishya Bodhaya Toth, Satyam Samsritavan. For the sake of teaching the aspirants, he continue to live in the body, with which he had no identity. It is no exaggeration to say that Lord Dakshi- namurti himself had chosen to settle down at the foot of the hill of Arunachala as Sri Ramana Maharshi to guide and transform the seekers. The Mundakopanishad proclaims ' Gurum Evabhi gaccheth'- (one should strenuously seek the great master and reach him for enlightenment). 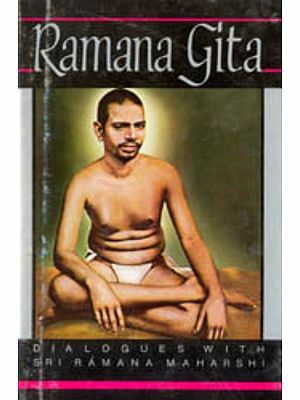 In the case of Sri Ramana, the grace of Cosmic Power itself reached out to him and transformed the young boy, in a trice, to the universal self. From that moment, Arunachala shone as Paramatman, the Supreme Self made Manifest in Sri Ramana. He said, "In the recesses of the lotus shaped hearts of all, beginning with Hari, there shines as absolute consciousness, the Paramatman, who is the same as Arunachala. When the mind melts with love for Him and reaches the innermost recesses of the heart, wherein he dwells as the beloved God, the subtle eye of pure intellect opens and he reveals himself as pure consciousness." 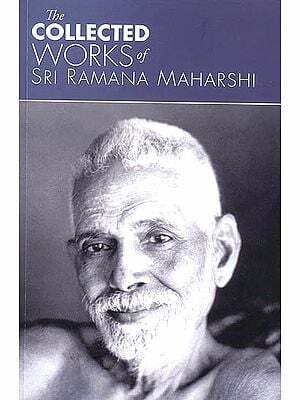 The relationship between Sri Ramana and Arunachala is a grand mystery. To use his own words, "in Tiruchuzhi, the holy town of Bhuminatha, I was born to Sundaram and his wife Alagammal. To rescue me from the worldly life. Arunachala in the form of the holy mountain in the universe, gave me his own state of Bliss, so that his heart might rejoice, so that his own being as Awareness might shine forth and his own might flourish. "(Necklet of 9 Gems-Verse 8). Thus, when he decided to leave his house at Madurai on 29.08.1896, it was in response to the irresistible call of Arunachala, his holy Father. It was in obedience to the Father's command, the boy reached Arunachala on First September 1896. After a long and eventful journey to Tiruvannamalai, when he arrived at the holy shrine of Arunachala, the gates of the mighty temple and all the inner doors were open at an unusual hour in the early down and there was no one inside. It was an apt demonstration, that the Lord himself prepared the ambience to welcome his beloved son. Entering the holy shrine the boy Venkataraman reported himself to his Father saying, "Father! I have obeyed your call and come leaving everything." All the rest of Sri Ramana's resplendent life for 54 years was spent in Arunachala alone. The very thought of leaving Arunachala never seems to have occurred to him. Another Great mystery was that, after leaving the temple precincts of Arunachala later, he never felt the need to enter the sanctorum ever again. At very first encounter, the Father and the Son became one. Sri Vedanta Desika describes Sri Rama as "Dandaka vana Jangama Parijatha" - the great wish-fulfilling -tree which moves around in the Dandakaranya forest to shower blessings on all the seekers. Likewise, Sri Ramana left his abode under the holy banyan tree where he was previously seated as Dakshinamurti, to walk, talk, instruct, rite books and poems and finally guide everyone to establish themselves in the true Self. The mysterious relationship of Ramana and Arunachala was most impressively demonstrated by the celestial phenomena at the time of Sri Ramana's Mahanirvana, when a brilliant light, in the shape of a star, emanated in the south east corner of the horizon and traveled across the sky, seemingly to merge in the highest peak of Arunachala. A hundred momentous years have gone by since Ramana stepped into this place. His whole life has got a singular transparency and simplicity. Like Sri Rama, Sri Ramana was also demonstrating the great virtues of accessibility and infinite love, 'Saulabhya' and 'Sausheelya'. It is in the fitness of things that the Centenary of his Advent in Arunachala, should be befittingly celebrated on the 1st of September 1996. One of the innumerable ways in which we are playing our homage to Bhagavan Ramana is to place at his alter this flower. We have tried this book one of lasting value, one which gives deep insight into the Master's life and teachings. On this august occasion, we remember with gratitude Niranjanananda Swami who, under the Master's guidance, laid a solid foundation for Sri Ramanasramam's upkeep and growth and worked tirelessly to make a success of a similar celebration fifty years ago, on the occasion of the Golden Jubilee of Bhagavan's arrival in Tiruvannamalai. 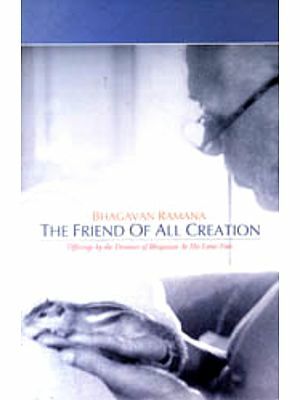 We also remember the invaluable services of Swami Ramanananda (Sri. T. N. Venkataraman) for over 45 years to Sri Ramanasramam and the Ramana Devotees. We of course remember Sivaprakasam Pillai, Kavyakantha Ganapati Muni, Muruganar, Venkataramaiah, Paul Brunton, Devaraja Mudaliar Sri Natanananda Swami, Chadwick, Arthur Osborne, Kunju Swami, Prof. Swaminathan and the galaxy of innumerable devotees of Bhagavan who exemplify His glory. I pray to our Bhagavan Ramana that we may all feel His continued Presence in our lives so that we too may partake of His state of Natural Bliss. May Bhagavan Sri Ramana Sat Chit Ananda  Supreme Lord of our hearts be pleased to accept this humble offering placed reverentially at His Holy Feet in His Shrine of Grace.